Racing through the parking lot at work, I carry out my ritual of counting import versus domestic cars. Like the Olympics, I hope that the home team would win. During my ritual, domestic cars often lose to their foreign competitors in the number of cars. However, it would be difficult to identify what an American product is because of the transformation of the world due to globalization. In June, the Dow Jones Industrial Average sank into the red for the year after a dismal U.S. job report. Stocks globally have been on a downward spiral since the beginning of May due to worries about Europe’s debt troubles and China’s economic engine which has begun to stall. Many people hope that companies like General Motors can jumpstart the American economy. Like Detroit, Knoxville would embrace the return of the manufacturing industry. According to a recent Brookings Institute report, “Locating American Manufacturing: Trends in the Geography of Production,” manufacturing jobs in the Knoxville Metropolitan area increased 9.9% from 2010 to 2011. In fact, this manufacturing gain was more than 3 times the national average, ranking Knoxville 6th in the nation. However, many globalization critics argue that weak international trade agreements destroy manufacturing jobs in developed countries like the United States. The net results are American businesses move operations to countries with cheaper labor. Charles Hills, author of International Business, argues, “In the past few years, the same fears have been applied to services, which have increasingly been outsourced to nations with lower labor costs.” Most businesses attempt to stimulate growth through a variety of efforts, including technology investments, acquisitions, and major market campaigns. Companies hope that customers will purchase their products and services due to the value component. 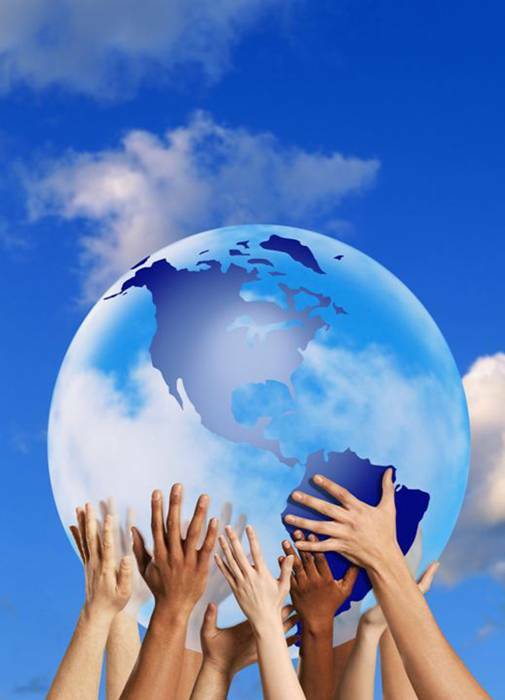 However, globalization has further linked the financial welfare of each country’s constituents. In May of 2012, HP announced it would slash more than 27,000 jobs, which is 8% of its worldwide workforce by 2014 in hopes of saving billions of dollars against fierce competition. It is the largest restructuring campaign in HP’s 73 year old history. At the time, former HP CEO Meg Whitman stated restructuring was “absolutely critical for the long-term success of the company.” The downsizing of HP’s workforce was the third largest in tech history. However, other high tech companies have also been impacted. IBM downsized 60,000 jobs and AT&T downsized 40,000 employees in the mid-90s. At the same time of dealing with global production, each country seeks to increase exports of goods while spearheading job creation in their own markets. With globalization upon us, can domestic products be considered American when some components are made abroad? Please share your opinion on this topic. When first reviewing this blog I at first thought yes. I logically argued that if a product originated in American then it would be considered an American product. The same logic can be applied to Japanese products that are produced in American but were originally produced in Japan. It would be odd to hear someone say that Toyota was and American product just because it was produced here. I would argue that a product should be associated wins the rights of the product. For example the iPhone, Apple owns all the rights associated to this coveted product but it’s produced in China. Does this mean it’s a Chinese product? No, it just means in order to keep the cost low so a broad range of people can own the phone; Apple outsources the manufacturing of the product. However, according to the Bureau of Consumer Protection a product must meet the “all or virtually all” standard in order to be considered “ Made in the USA”, basically saying that all components must be produced in the US ( FTC, 1998, p.1). Oustanding! Let me follow your logic. So…if an American business outsources 99% to China, is it still an American product? I would say yes. If I were to move to China and live there 99% of the time would that make me Chinese? Obviously products are different than people but I believe that where the product originate should define the product not where it’s manufactured. I also respectfully disagree with the reply premise in justifying “American made.” FTC standards are set for a reason. Beyond that, there is pride in such a label. More importantly, there are economic ramifications and benefits to such a classification. Buy American Challenge blogger indicates that the average American adult holds claim to $700 in imported goods each month (total value of imported goods/number of American adults). His challenge is that, with a small change in our purchasing habits, we could help in reducing the national trade deficit. This, in turn, would create millions of American jobs. Thinking on a broader scope if we manufactured more products which could be exported, this would create additional jobs. We can only provide services to as many people as we have in the States. But if we retained the (domestic) service sector and grew our manufacturing sector which could serve as many people and countries with desire for the product(s), demand would exceed supply. This would create jobs, raise wages and further reduce the national debt. Additionally, it could improve technology, R&D, quality control processes, etc. I would say yes. If I were to move to China and live there 99% of the time would that make me Chinese? Obviously products are different than people but I believe that where the product originates should define the product not where it’s manufactured. As Patrick Olsen editor of cars.com stated, “In today’s global economy, there’s not an easy way to determine just how American a car is” ( Woodyard, 2011. Para. 6). What Mr. Olsen is pointed out that in our current economy there are basically no cars that are 100% “Made in America”. To me it seems backwards to refer to Ford, GM & Chrysler as American automakers if we cannot say they produce American products. Nathan, sorry but I would have to disagree. Products made from American materials stand a better chance of survival versus products made in China. Therefore if you were born and raised in another country other than what your passport says are you truly who you are from what a piece of paper declares you to be. I think we identify our products as “American” in order to please our conscience that we have done the correct thing by choosing an American product, whether we look into how deep it was made is not the point, the point is that we bought it and it says “Made in America.” According to Ramos, (2010) “the reason being that drastic numbers of Americans are losing their jobs to other countries or are being paid less as a result of this. There are other negative consequences that come from this. That is why I propose that Americans should buy more American made goods” (para. 1) So we must rethink that when we buy something who it truly keeps ford on the table for. No matter what we do to purchase American made products, it will not make enough of a difference to “keep the food on the table” in America. It is the demands of shareholders, and corporations drive to make more and more money to feed the “fire.” Corporations and governments are trying to bring down American wages to level the playing field…in order to keep jobs in this country. The big question for me is will there be “product value adjustments” or as Chris Fletcher more accurately defines as severe “inflationary controls” that will that will coincide with this movement? I think that rather than trying to make American’s adjust wages downward, that they should be bringing the rest of the world up to a higher standard as such in America. This will allow greater purchasing power in other countries for a while which is positive. It will force value adjustment in this country and this would increase our purchasing power. Our wages would not go away or go down. Jobs would quit leaving this country. This is not a rationale that will go over well with shareholders, I am sure. As we all have watched stocks globally take a downward spiral since the beginning of May due to worries about Europe’s debt troubles and China’s economic engine starts to slow, you cannot help but wonder where all this will end up. Global outsourcing has been around for some time, however with the instability of other countries economic status, companies must consider the safety of America and the products coming into our country. With turmoil abound, I believe more and more companies will bring their products back to America as a result of traveling to other countries and placing Americans in harms way is a considerable liability, as well as cost. At one time companies were outsourcing to China, as the video reports, now the cost is too great and the safety issues over the last few years has cost more money to correct. At one point economics and business make a full circle and eventually coming back to where they started. China is no longer the top dog for outsourcing; other choices are available such as Mexico and India. But in the end the companies must ask themselves the question: Is it more cost effective to outsource to countries where the economic stability is teetering or is it more effective to keep our business within the boundaries in North America where employees are safe and products are under safer regulatory guidelines? More and more, companies will chose to come back to America. Our economy is depending on it! I agree that instability in some markets will eventually influence American companies to come back to familiar shores for manufacturing. However, remember that American business is extremely opportunistic and there is as much foreign interest in U.S. companies as there is domestic anymore. And this isn’t a bad thing at all! Micheline Maynard (2009) of the New York Post stated, “Foreign-owned companies in the United States have a work force of more than 5.3 million, or some 3.5 percent of all workers, and are spread across the 50 states in sectors from manufacturing to retail and publishing” (p. 1). So, there are indeed countries that believe the U.S. is still a great place to do business in various sectors. I agree with you Anita our economy needs more production to provide people with well-paying, stable jobs. American innovation and productivity have out-stood the test of time. The president, leaders, large and small businesses are finally realizing that we need to get jobs back into the United States. Bringing jobs back will contribute to lower costs, more flexibility, and better quality of products. I think the key to revival for the manufacturing industry depends on several factors especially a collaborated effort among government and executives of U.S. based companies. Asian labor costs have risen to the point where it may not be as profitable as it once was to move jobs to China. Additionally, U.S. labor is much more productive in many areas, as much as three times as their Chinese counterparts due to advanced production facilities and technology (Hagerty, 2012). Regional manufacturing closer to market areas is probably driving the new trend of bringing jobs back to the U.S. Changing philosophies and conditions in supply chains are causing products with higher shipping costs to be produced closer to market areas. It is unlikely, however, that textile and “cut and sew” jobs lost over the past two decades will never return to the U.S.
For widespread reshoring of jobs, the U.S. will have to rethink policy issues on corporate taxes, educational needs and incentive programs to help offset remaining off shore advantages. I would agree with the previous post by Nathan that if a product’s home base is in the United States and that is where the idea of the product originated it should be considered American. According to the New York Times article “When Factories Vanish, So Can Innovators”, American manufacturers are importing more and more of the components that go into their products, and that it has risen from 17 percent in 1997 to more than 25 percent currently. My question is if all manufacturing is being moved over sees what does that do for our economy? While prices for these products are lower and with our economy in its current state, it seems like a good thing, however it seems to me like a double edged sword in that lower prices equal fewer jobs. The article also brings up a great question as well, how can we continue to be competitive in R&D when we aren’t even making the stuff we currently innovate, example Apple and iPad? Or are innovation and manufacturing separate? Great comments! If you could change U.S. policies on trading to favor U.S. businesses, what would they be? You are U.S. President for a day!!!! I agree Amy that if we continue outsourcing components of our American products, then it is going to get easier and easier to outsource the whole production process. U.S. companies need to analyze the affect this could cause to our economy and their brand. I think we definitely need some advances on trade policies that will open up more export opportunities for American businesses, example more than 19 FTAs. However my concern is not so much the trade policies but the view of American businesses that cheaper is better. They prefer to outsource or set up their manufacturing oversees because it saves them money without weighing the disadvantages, ex the thousands of jobs we could be providing here in the states. Can we go back? Would American citizens be willing to pay more for a product if they saw it was providing more jobs for US Citizens? I would like to argue on points of reciprocity when it falls under the area of free trade agreements. The problem occurs when there is a net loss. “In the first three quarters of 2009, the total number of cars manufactured by China’s five exporting manufacturers and exported to the European Union (EU) amounted to only 745 units, according to statistics released by European Automobile Manufacturers’ Association (ACEA), China Business News (CBN) reported Monday. (Quiang 2009). Unforunatly, there are too little examples of this happening. For most of the industries in China, companies operate on a positive trade surplus which hurt other countries looking to increase quotas. China also practices unfair exclusion and bias towards foreign direct investment and will only allow major companies to invest in a 50/50 joint venture. Until international trade becames more balanced. Countries will continue to lose jobs to outsourcing and will find themselves on the losing end. If you were appointed President Obama’s U.S. Commerce Secretary, what would you advise the president on foreign trade agreements? Can anyone prevent the aftermaths of globalization on trading? Yes, China avoided the global recession by operating through a central isolated banking system that did not take part in all of the ghost banking practices most other industrialized countries were practicing. The mortgage bubble and other investment bubbles and speculation on currencies would be examples of this. As far as advising on foreign trade agreements, this is a more complicated issue. Due to the necessity of comparative advantage in economics, a country cannot completely isolate itself from the rest of the world. However, when countries like China violate standards set by the World Trade Organization that all of it’s members agree too, this is a problem. Simply put, economic sanctions should be put in place for members who don’t “play ball”. Koerner, B. I. (2011). COMING HOME. Saturday Evening Post, 283(5), 56-60. I think that you make a great point on the final product really being Made in America statement. According to the Washington Post “The Stanley Works, one of the countries largest hand tool makers, is aware of the preference and contends its tools are made in America, though some of its products begin as imported forgings that undergo substantial finishing in the United States. For this reason, Stanley wants the Federal Trade Commission, the agency that polices the truthfulness of “Made in America” claims, to liberalize its definition. Instead of the current requirement that goods be “all or virtually all” made with domestic materials and labor, Stanley wants one that would simply require that goods undergo “substantial transformation” here to qualify as Made in America”. “It’s a competitive issue,” said Richard Abbey, a Washington attorney representing Stanley. I really think that many other companies want to blur the lines of what is really Made in American. This started in 1996 with The Stanly Works Company. Imagine what companies try to do now. Good points! America is not a slouch in manufacturing…yet! Where would you rank America in manufacturing versus the world? I would personally rank the U.S. as number one in manufacturing products without even consulting a secondary source. I don’t know how accurate this is as of today, but in June 2010, CBS News reported that the U.S. was still the world’s leading manufacturer with a $1.7 trillion dollar manufacturing value added compared to $1.3 trillion dollars coming from China. With the recent resurgence of smaller manufacturers realigning themselves to produce more in America, hopefully the U.S. can maintain the leading role in global manufacturing. Jamie, I agree with your conclusion on how “American” our products have become. Unfortunately as consumers we have become more involved and focused on how much we can get for how much cheaper. This has then led for us to learn the hard way, by re-examining how much more we could have gotten from our home product versus international product. According to American Quality Products, (2012) “we would welcome the opportunity to discuss your needs and submit proposals for to complete your on outsourced work” (p. 4) Luckily for the consumer more and more people are raising their voice on how to bring so called American products back to the American assembly line. So…are American consumers define by the word ‘cheap?’ Is there a morality factor or not? Thanks for your insight! I am sure Jamie appreciates the back-up! Yes, I believe domestic products can be considered “American” when some components are made abroad, however one must consider two things: where the money goes when the product is purchased and the relative economic impact of that firm. How many jobs did the manufacturing and assembly generate in the United States? America doesn’t have unlimited natural resources, and it certainly doesn’t have an unlimited or inexpensive labor pool, therefore many firms must outsource certain aspects of production. The main objective for our economic leadership is for the US to do more exporting. A good example is GM’s entry into the Chinese market. This is a growing market that GM is going to take advantage of, which will be good for the US. Chinese people buying GM vehicles will support and create US jobs, whether some components are made abroad or not. Good points! Do you have a percentage or ratio of what makes a product American? There are so many international acquisitions and mergers such as InBev (a foreign beer maker) owning Budweiser. I don’t have a ratio, but it’s not just the component of the particular product. If the good or service benefits American jobs, then that is a good thing for the American economy. In our global economy, I think it matters less where the company’s headquarters or manufacturing base is located and more about what that company is doing to bring value to the communities, the consumers and the markets in which it is located. What shall we call alien products that Americans build and assemble in America? Many American firms choose to use sources of labor from other countries, therefore the door opens for foreign firms to come in and utilize the high skill of American labor. More and more foreign firms are off-shoring, near-sourcing and out-sourcing to the United States. Air Bus is due to open an assembly facility in Gulf Shores, Al, and VW is producing automobiles in a new state of the art facility in Chattanooga, Tn. Here these firms are tapping into a workforce that is statistically one of the most productive in the world. According to Chad Moutray, chief economist for the National Association of Manufacturers (NAM), “the U.S. has the most value added per worker than any other of the top ten economies in the world, which levels the playing field when competing against low-wage nations (Gray Construction, 2012)”. I would consider any product that incorporates American blood, sweat and tears in any form, “Made in America”. You outline a battle between America’s productivity (aka the American workforce) versus low-wage nations. If you are a betting person, where do you put your $$$$$? My bet would depend on the complexity of my product, stage in the product life cycle, demand, and the trends within my industry. I cannot say that low-wage labor is of no use, but I can say that one could utilize the productivity of the American workforce if demand in the market is sufficient enough to make money through sales volume rather than sales margins. Also, if my argument serves me logically American quality should be worth a couple more percentage points over the competition if they use low-wage labor from foreign nations. However, My bet will lie where I can best manage risk and profits. Thanks! Let’s see what happens then! I’m with you one hundred percent. Even though American manufacturers have lost some production jobs, that does not replace the fact that we are still considered the highest calibur producers in the world. In fact, I directly attribute the loss of many production jobs to globalization and ease of access to the world economy over the past 20 years. It is very difficult for me to blame business for job loss to offshoring because I believe business is just evolving as it has for centuries up to this point. Mark Kobayashi-Hillary (2009) stated, “Economists have always explained that, in a growing economy, sending work offshore results in a greater flow of capital back to the source country – therefore enriching the country that offshores service-sector work, like IT and customer services” (p.1). If we take this information into account, even though we can’t always say products are “Made in America,” and it is still enriching our country economically, offshoring is probably not as bad as we think. I recently heard of a woman in California who blogged about only purchasing items that were “made in America”. I wondered, as this blog suggests, if she was using the term “made in America” as loosely as we do in today’s global market. John Schoen (2010) recently stated, “Today, an “American” car sold in Chicago may have rolled off an assembly line in Tennessee with parts made in a dozen different countries.” As the world continues to get smaller the imaginary line that defines exactly where a product is made will only continue to be blurred. For now, I believe that a domestic product can be considered American even when some of its components are made abroad, just as I would consider a Japanese product to still be “made in Japan” if a couple of its components were shipped in from China. So…do we bury the term ‘Made in America’ then? I don’t know if I have an opinion regarding this. I’m indifferent about whether or not countries should place claims on products that are not entirely produced/manufactured in their country. I do, however, think it seems a little closed-minded for people to only want to buy American-made products when we as a country depend so much on products/trade/business from around the world. Maybe “Made in America” can be defined as a percentage of the work and not a percentage of the product. For example, Saturn vehicles were produced right here in Tennessee (Funding Universe). Although they had parts that were made around the world, they were produced here and were given the badge of being “made in America”. Can we really hold on to this badge? Is the market too global to really focus on the parts and their origins? I think made in America is still very important but we need to reevaluate the definition. Maybe in this new global market, this badge will be more about the production location and less about what percentage of the parts are made in America. I think that perception is reality. I think a good example of this would be the Pontiac Vibe. I would say that many of the Pontiac car owners perception was their car was made in America. The Pontiac Vibe was recalled when “Japan’s Toyota Motor Corp. announced Tuesday, Jan. 26, 2010 that it would halt sales of some of its top-selling models, to fix gas pedals that could stick and cause unintended acceleration”.(Avalos,2010). The Pontiac Vibe was a joint project between General Motors and Toyota. I think globalizations impact on manufacturing really confuses customers. With the downsize in our economy from globalization, many customers don’t really care about where components come from. For example when I grew up, you would not be caught with toys or products with the sticker (Made in China). I really thing that today you would die before you found many toys or products not made in China. In the past, General Motors took the beating on quality; in today’s economy the Toyota brand took a beating. Interesting! Do you think America can regain some of these key industry sectors? Initially, an individual could not clearly associate a product as domestic if it is not manufactured within the host nation. Having only the corporate head quarters domestically is not enough for the average blue collar worker. However, an article from Jim Mateja and Rick Popely from the Chicago Tribune raises an interesting point of view. The article shares vantage points about domestic and imported automobiles. Mateja and Popely supports the opening thought sharing that “the Ford Mustang has about 65 percent domestic content” (2006). They also acknowledge that many import companies have invested domestically within the United States providing needed jobs. The statistic that Mateja and Popely reveal though is that “Ford will employ 110,000 in the United States, while Toyota will have around 32,000” (2006). The article continues painting the picture “So would you rather buy a Toyota built in Kentucky by a company with 32,000 jobs…[or] from a company that supports 110,000 jobs in the US?” (2006). You’ve introduced the ‘What’s in it for me’ analysis. Should American workers consider the social aspects of buying a foreign product? Yet, products from emerging countries are….CHEAP!!! Very good question. Until I read this article I did not realize Ford still employed over 100,000 people domestically. This does not include the suppliers and other businesses that support them. Initially, this statistic encourages me to continue supporting the American automakers. Realistically, I would like to see the trends between the American and foreign automakers. The trend or projection that would ultimatley form my opinion is which auto maker continues to increase their employment level domestically. This would answer such questions as, “Are the Amercian automakers continuing to outsource while the foreign companies are making these long term investments?”. Personally, I could not help but want to support those that are helping the local economies. Because of globalization, a domestic product can be considered American although some of its components are made abroad. This would not have been the case about 40 years ago. Based on the Federal Trade Commission’s regulations related to “country of origin labeling”, the determination is made based on whether it is assembled in the United States and whether most of the costs incurred with its production are incurred here in the States. These rules were the result of an overhaul of the regulations in the late 1990s as globalization began to blur the lines. (Schoen, 2010, p. 1). It stands to reason that the determination should be based on where the economic benefit of production resides. So…the sum of the parts do not matter in the identification of a product? I think what matters, at least in my mind, is whether or not there was an economic benefit to the United States from the production of the product. This benefit would come in the form of the manufacturer’s investment in the production process (labor, investment in plant, supplies, taxes, etc.). If the product is assembled here and most of the production costs were incurred here, in my mind there is an economic benefit and the sum of the parts would still essentially be American made. When people are looking for an “American made” product, isn’t the economic benefit to the United States essentially a major factor in what they are looking for? I would have thought that the Federal Trade Commission would have more rules mandating the advertisement of goods as being “Made in America” or not. It really surprised me to find out that they only require a breakdown of U.S. content on automobiles and textiles, wool, and fur products. (Complying with the Made in the USA Standard, 2012) That leaves a lot of wiggle room for manufactures when they plan to claim “Made in America” on their products. I read the same information on (Complying with the Made in the USA Standard, 2012), and was also surprised at the lack of regulations for Made in the USA Products as well. Made in the USA refers that all significant parts, processing and labor that go into the product must be of U.S. origin (FTC, 2012). and Volkswagen coming to the Knoxville region. In 3rd quarter 2011, on-shoring increased to 19% from 4% in 2nd quarter. This averages to 18% over the last seven quarters. In making this statement, when these products go outside America, they must have the label, Made in the USA no matter where the product is shipped. Business Consumer Protection, (2012). Complying with the Made in the USA Standard, 2012, Federal Trade Commission. Retrieved July 9, 2012 from http://www.business.ftc.gov. 3Q MFG watch, (November, 2011). Mfg watch quarterly. Retrieved July 9, 2012 from http://www.MFG.com. The paper focused on Apple’s management in its China plant. Unfortunately with the rise of Apple over the past several years many people have lost track of where and how their products is being made. To clarify my point, like many products most of the Apple products sold in the United States are manufactured in China. While many Apple fanatics still argue that Apple products are American, business analysts argue otherwise. According to Duhigg and Barboza, (2012) “Apple is not the only electronics company doing business within a troubling supply system. Bleak working conditions have been documented at factories manufacturing products for Dell, Hewlett-Packard, I.B.M., Lenovo, Motorola, Nokia, Sony, Toshiba and others” (para. 11) American companies across the country have now moved their entire production lines overseas. They not only lost their component production to overseas outsourcing, they have lost the entire line of production. This will only harm such companies in the future for releasing the access to their product to competing countries. Good points! Where do you think globalization will eventually take the manufacturing industry in North America? More and more companies in America are relying on globalization to reduce the cost of production. The question is, if the product isn’t 100% made in America, can call it an American product? According to John Schoen’s article on msnbc.com, “A product that is “Made in America” has to be assembled, and most of the cost of making the product incurred, in the United States” (Schoen, 2010). As globalization becomes even more popular, I can see the Federal Trade Commission requiring production percentages to be labeled on the products. For example, when you buy clothing, it tells you how much is cotton, silk, etc. Why should be not be giving these other countries credit for their hard work? Well, it depends on the percent that was actually made in America. Once everything is broken down to determine what all is going into the final product, then labeling the product as 60% made in India, 20% made in China, and then 20% made in America would be appropriate. If everything is made outside the US, and we just assemble everything here, then maybe we should just say “assembled in America”. Your thought of creating a manufacturers origin label held my attention. I do not know if the concept would ever move to mainstream business but in the event that it did I am sure that it would raise brows as to what manufacturer’s claims are. The Federal Trade Commission (FTC) has some interesting policies to support your thought. The FTC (2012) “does not pre-approve advertising or labeling claims” (p. 4). Next, most consumers are aware that many manufacturers avoid inaccurate labeling by only assembling the final product here but in reality it depends on the costs. If many of the products components are made abroad but “only a small portion of the total manufacturing costs are attributable to foreign processing” then the product can be considered made in the United States (“Federal Trade Commission, 2012, p. 5). How ironic that everything even the place of origin can be related to costs? Listing the percentage of a countries contribution to a product seems like a reasonable request. Food companies are mandated to list the nutritional values of their products, so this would seem to be the same thing for other products and manufacturers. Capitol Hill might be trying to provide some help with this matter. There is a proposal on Capitol Hill that would designate American Products and those that are not. “…….proposes a redesigned country-of-origin label on all consumer goods listing where its components originate, what is the balance of trade between that country and the United States, and the location of the main offices of the company that sells the product.” (Devaney, 2012) This sounds like its more than a percentage, it’s going to flat out tell you where the components of your product are coming from. ingredients or materials. In an interview ABC News reporter, Diane Sawyer, looks at American Made Companies at http://www.abcnews.com., Made in America: Where to Find American Companies list all companies and where their products are made or assembled in the USA. The FTC qualifies made in USA as one that describes the extent, amount or type of a product’s domestic content or processing; it indicates that the product isn’t entirely of domestic origin. Example: Made in USA of U.S. and imported parts (FTC, 2012, P. 8). Most consumers look at quality craftsmanship and cost when it comes right down to purchasing the product, not where the materials come from. Sawyer, D. (March, 2011) Made in America: Where to Find American Companies retrieved July 9, 2012 http://www.abcnews.com. While reading this, the first though that came to mind was a series of news stories from ABC Nightly News during a series called “Made in America.” During that series, they noted that companies have started to bring jobs back to America because it is cheaper to do so. Overseas or outsourced workers were paid as little as 58 cents an hour. It has risen to $3.00 an hour and can rise as high as $6.00 by 2015. Companies now say that the productivity is not worth the rising labor cost and that American productivity is 4 times higher than overseas productivity (Muir, 2012). If manufacturing jobs are starting to come back “home”, then they can truly be called Made in America. What is the distinction then: outsourcing versus insourcing? I believe it is. The outsourcing of jobs and manufacturing seems to be the main driver in this discussion. Companies make the decision whether to outsorce jobs or not. The principle of outsourcing has become so commonplace that I think a lot of companies think they have to outsource to stay competitive when that might not be the case. Competitive advantage has compelled companies to utilize components made abroad in order to maximize efficiencies. Specialties have value. Products are no less American. But from an economic standpoint, it is unfortunate that companies utilize foreign components to achieve the highest possible quality at the lowest possible cost. Partnerships are vitally important when an interdependence is created. International trade law, job loss, dumbing down of workforce, import/export ratios, and particularly the decline of manufacturing all become relevant. In 1950, more than 30% worked in manufacturing jobs. Today, less than 10% occupy those roles. A wealthier nation arose lessening the need for goods and increasing the need for services. The recession helped to reveal our nation’s weaknesses from over consumption/under investment (ex. housing bubble) to wage stagnation to labor force participation. One of the single-most significant developments is manufacturing deterioration which should call to question its role in economic recovery. America should not sit idly by watching China become the next superpower. Concentrated efforts on education , training and R&D are necessary for America to remain the largest economy in the world, among an increasing number of dominant players. Chu, J. (2011). American Made? Retrieved from http://web.mit.edu/newsoffice/2011/manufacturing-event-pie-0916.html. Excellent points! What do you think are the unintended consequences of ‘wealthier nations’ moving toward a service economy? I think America misses out on sales opportunities. If we view countries as stores, what do we have to offer if we have no product? It is far less likely that we can sell services across borders. Logistically, it just does not make sense. And, we are not taking advantage of the global economy. We miss out on technological advancements, innovation, educating our workforce as opposed to another country’s citizens reaping the reward. We sacrifice our citizens by closing down plants when older workers may not have the skill set to be able to move over to the service sector. And ultimately, we stifle our wages. I do agree with you that we cannot let China become a superpower while we do nothing. The United States companies need to use “made in the USA” as a marketing tool in other countries as well as in America. Americans are not the only citizens interested in buying American made products. As the China population moves into the middle class, they are becoming more interested in western culture and western goods (Locke, 2011). We need to take advantage of the potential markets for U.S. products in other countries. As globalization changes the economy, U.S businesses have to consider competing in foreign markets to compete with the foreign companies in the U.S. The idea of one product being made in one particular country continues to become more and more complicated. As industries continue to find new ways and new locations to operate business in a cheaper and/or better way, the identification of a specific country as the sole maker is less and less feasible. We must understand that many manufacturing jobs have been moved oversees. Many businesses are “moving their production facilities to nations that do not have such burdensome regulations or that fail to enforce the regulations that they have.” (Hill, 2011, p. 29) The answer to dealing with this situation may not be to try to create an equal playing field for all countries or to enact trade embargoes and barriers to control pricing but to understand what position you play in the best. This is what we have seen happening in the United States over the last several years and this is what countries like India have figured out and are taking advantage of now. My place of employment follows The Buy American Act, which requires government procurements to come from domestic sources. In determining what American goods are, the place of mining, production, or manufacture is controlling. I have found that many times the domestic company we procure from will then outsource the work or buy their materials globally. According to Trey Denton, a Georgia Professor, it is hard to tell where things are manufactured, but even imported products, as they are sold in the U.S., contribute to jobs. Denton also said, “Each time they are bought and sold somebody’s making a profit, and that profit goes to supporting jobs.” While a product might not be a 100 percent made in America I do not think that disqualifies it from being American made. Can governments drive desired behavior from consumers (including businesses)? I do believe governments can drive desired behavior from businesses and consumers. For instance, if consumers are given government tax credits if they purchase/use energy efficient air conditioners or other energy efficient appliances the government is encouraging a certain behavior. In addition, companies could be taxed heavily for pollutants and other contaminants which could encourage them to be more environmentally friendly. You make a very important point. Can made in America be more about the jobs that are involved then the materials that go into the product? This could be a very important distinction for businesses in the United States going into the future. If you make and sell product in East Tennessee but some of the materials come from China and Mexico, being able to say legitimately, that you are an American company selling an American product, will be a great marketing opportunity for the company. Jobs are a very important part of the economy and producing a product with labor here in the United States is creating jobs and helping the economy. With many businesses operating internationally and the financial benefits of doing so, we must alter some ideas of what made in America means. I believe that you are right. This comment is an addition to my original thoughts. A company is the combined collaboration of its products and employees. So this makes me wonder if their employees are outsourced, then should their product locality also be? Outsourcing the manufacturing of products can be a cost saving method for both the consumer and the company. On the same hand, all of the manufacturers in a product do receive gains. Employment in a location can be critical to the economy in a particular location. So does this make all of our products “international?” I think that you have a very valid point. Also your marketing ploy comment was very intriguing. It makes me want to look further into the products I buy and their actual manufacturing location. I fill that where the majority of the product is made is how to determine this. Others may have different opinions but if you think about American made you think of it being built and put together and functioning here. If something is built in Japan and then sold here it is Japan made not American made. If everything to a hair dryer is built in japan then put together here it is Japan made and American assembled. Even though an idea of something is made here in America I feel that it does not give it the right to be called American. “If we understand this globalizing economic paradigm as an epistemological system that sells freedoms to the public as the opportunity for new communicative choices, these new freedoms must be situated within a specific epistemological and technological economy with their own simultaneously material and discursive opportunities/ limitations” (Rice & Vastola, 2011, p.150). How we limit what we call something whether it be American or where ever made is really not important but more or less if it operates correctly and benefits the ones who produced it top to bottom. So…people (in general) do not care about the original of products and services? At one time in our American history, we were pro American products. Has this changed? Personally I do not know what people care and do not care about. Yes some things I do see people potentially caring, but then again asking people around me they do not care. People each have their own opinions and while I feel that buying something produced in the US is important I also need to consider buying things that are produced abroad because some of them items can be purchased significantly cheaper. No I do not know personally if it comes from a sweat shop, but I would hope not. To the point though I do not care what pieces from the part come from here or there. Good points! What do you base your opinions on? One might say that America’s increased involvement in a changing global economy has been inevitable as technology has linked the physical barriers that once separated continents. On the other hand, the new global economy has become an incredibly competitive place where companies in the United States and different countries are fighting to control labor costs, technology and price advantages over other companies, which has led to global outsourcing in the United States. Controversy exists over whether a product is American made if some components are produced abroad. “In a recent survey, 41 percent of car shoppers recently said it was important for them to buy a car made in the United States by U.S. workers, versus 28 percent who said it was important for them to buy a car made by a U.S. automaker in another country.” This same study showed that 57 percent of shoppers considered a car that is made by a foreign automaker in the U.S. to be American-made. I share this opinion because the actual process flow, development and management of the product output are being completed by our companies on American soil. Mielach, D. (2012), What’s Your Choice? American Made vs. Made in America, Business News Daily. Thanks for the additional survey about Americans’ buying decisions! Who conducted the survey? Do you think it matters who is sponsoring the survey? American carmarkers? Foreign auto makers? I do agree that the source of the survey has relevance, and in this case, it was part of the July 2012 Shopper Insight Reports released by auto trader. Indeed, this is a valid point and should be considered while evaluating the results. I do think there is an increased awareness among the American people relative to the purchase of domestically made products. In fact, the company I work for purchases a number of commercial vehicles, and it buys strictly “American-made” cars only. I read an article by Todd Lipscomb, founder of Made in U.S.A. Forever.com who said that there has been a 50 percent increase in the number of people seeking out products only made in the U.S.A over the past few years. Whether there are those Americans who understand that certain components of a product are made in other countries or not is questionable, but I think the sole intent by the American people is to control the outsourcing of jobs to other countries. It matters not, to me personally, if all components of an American product have been made in the United States, or not, and this is why. Products that have the endorsement of being American products, whether partially or fully manufactured in the United States still do have the American standard of regulations and product safety attached to them. This makes all the difference. So final inspection in the United States, or final inspection in India is not a concern for me. I would like to think that more products could be manufactured closer to home, but that is just not as possible as it used to be. The Global Organic Textile Standard is used at Cuddledown and China conforms to this standard. Do people care about the original of products then? Yes, Dr. Green, many people will purchase products from amoral nations because they are cheap. Many people in the “world” have no higher belief system in the first place. They will not care even if violent rapists made their products if it means that they will get them cheaper. As for me, personally and for most Americas, while we still have a choice, we will not consider products made from abused human beings. I will not listen to or purchase music that i created or distributed by people that degrade women and corrupt children. If we did not have a choice, I guess that we would have to purchase products wherever we could get them and that would be the end of it. Countries have become more and more depended on each other. We have seen how much truth there is to this over the last several years as the economic troubles of one country have impacted the economies of other countries. ” When other economies struggle, decreasing the disposable incomes and capital expenditures of those countries, the effects are often felt at home.” (2012) Because of this, we have to become more and more interested in what events take place in other countries. For example, if the economy in Germany collapses, the individuals of that country will not be able to afford to import goods from the United States. While we as Americans will always want more products to be made and exported from the United States, we must understand the economies of other countries and how they will impact our economy. The definition of an “American-made” product will depend on who you ask. Is it made in America if the parts come from a different country and are put together in America? I believe yes. Others may say no. Some may say that all parts of a product must be manufactured in the United States and put together in the United States in order to be deemed an American-made product. The FTC explains that a product is all or virtually all made in America if ” the product’s final assembly or processing must take place in the U.S. The Commission then considers other factors, including how much of the product’s total manufacturing costs can be assigned to U.S. parts and processing, and how far removed any foreign content is from the finished product. In some instances, only a small portion of the total manufacturing costs are attributable to foreign processing, but that processing represents a significant amount of the product’s overall processing. The same could be true for some foreign parts. In these cases, the foreign content (processing or parts) is more than negligible, and, as a result, unqualified claims are inappropriate” (para 16). How feasible is this really? If you think about all the different products that are imported, how many things can truly be considered made in America by this definition? It all goes into how far in depth and technical you want to be about it. Many aspects of labor that are outsourced to different countries are done so due to some sort of cost lowering strategy. As Americans, we tend to want to buy things that are cheaper (not necessarily cheap, but if two products are deemed the same by the consumer, they are more than likely going to buy the one that is less expensive). This makes companies seek out opportunities to cut costs where they can, including importing materials from other countries that are needed to assemble their American product. Made in America! What does that mean any more? Is assembled in America the same as made in America? Manufacturing is a shell of what it used to be. Both my parents where factory workers and it was a good job, it raised my sister and me. Now the factory is a vacant lot, nothing more than cracked cement and railroad tracks. While it seems we are becoming more of a service driven economy, some manufactures are still having growth. You might play your game with cars, I grew up using tractors. Growing up in a rural setting, I saw as many tractors as cars. All farmers have their brand loyalty. John Deere is a great example of American made pride that is rolling over the competition. “The company posts a record net income of $2.8 billion on record sales of $32 billion for the fiscal year ended Oct. 31st” (Bloomberg BusinessWeek). Don’t be mistaken, John Deere is a global company with nine global manufacturing sites. John Deer is growing into a global giant in farm machinery. In conclusion made in American does still matter. Apparently things do look better in Green! Gruley, Bryan. & Singh, ShrutiDate (2012, July 9- July 15). Big Green Profit Machine. Bloomberg BusinessWeek. Thanks for your personal story! I think many people ignore the emotional connection of ‘Made in America.’ I don’t! It connects with nationalism. Most countries have this same kind of pride…or do they? Under a global economy it matters less about where a product is made and more about the quality and value the product brings to the consumer. Quality control is an important factor in retaining the customers a company convinces to purchase their product. With a growing landscape of competition as the world shrinks through technological advances, a company must deliver quality in order to keep a customer. Apple’s Ipod was developed in California but is assembled in places like China and Taiwan, among others. An article by Cars.com recently named the Toyota Camry as the “top American-made car.” In fact four of the top five spots were awarded to cars made by Toyota or Honda, traditionally considered foreign car manufacturers. The list measures the domestic parts content of the vehicle combined with the sales of the vehicle in the U.S. to compile the list. A company delivering quality while strategically manufacturing products worldwide will succeed in the global economy. Is there a consensus on value and quality attributes as they relate to products distributed across the globe? The attributes that define value and quality are dynamic. I do not think there is a global consensus of what defines these attributes. The reason General Motors promotes bigger SUV’s and trucks in the U.S. while focusing on smaller cars in the U.K. is to meet value and quality expectations of the specific markets. They recognize what is valued in both regions and adapt their quality processes to deliver products that meet customer expectations. I agree that quality is an important attribute to any product whether it is made in America or not. The paradigm in the hardware retailing industry is shifting toward a heavy reliance on products that are “Made in America”. Many hardware retailers, while aware of the global economy, are focusing on fixing the American economy, “We know we have a global economy, but I think when we have the choice we need to take care of ourselves (Charleton, 2012)”. More shoppers are responding to promotions for “Made in America” products because buing habits are starting to trend more towards quality products instead of cheap knock-off products that never live up to the price. The author publishes this survey result in the article, “85% of retailers said the better quality of made in America products had a big impact on their decision to stock them (Charleton, 2012)”. This can be compelling evidence for American products trending to the top of global markets on the basis of demand because of the consumer’s perception of quality in American products. Charleton, J. (2012). The Power of made in the USA. Hardware Retailing , 203 (1), 56-58.
Who asked about if ‘Made in America’ matters? The debate has already begun. I believe domestic products can be considered American when some components are made abroad. A product being mostly manufactured in the U.S. will help the American economy, and the cost of the product will be kept down if some of the components are made abroad. The Federal Trade Commission considers the product American if 75% of the manufacturing costs are from the United States. The Federal Trade Commission states that “It will not be considered a deceptive practice for a marketer to make an unqualified U.S. origin claim if, at the time it makes the claim, the marketer possesses and relies upon competent and reliable evidence that: (1) U.S. manufacturing costs constitute 75% of the total manufacturing costs for the product; and (2) the product was last substantially transformed in the United States.”(Federal Trade Commission, 2011). Would you consider your premise true for foreign products made in America as well (I.e., Toyota and Volvo)? I would not consider the company as a whole American. I would consider the car that was manufactured in the U.S to be made in America, as long as most of the car was assembled in the United States. Even if the of the product design was created somewhere else, it still created jobs in America. (1) Greimel, H. (2012, March 12). Tsunami: The Aftermath. Automotive News, 48-52. I would have to say that products should be associated with the company in which they are produced for. Many of the products that are globalized have various points and places where the actual manufacturing process takes place. However, I believe that the end result is products are produced and money is exchanged, at this point the money goes back to the company and nation of origin furthering their economy. Globalized manufacturing is only a way of increasing speed and value to the customer while keeping costs low for the manufacturer. So yes, American products should be considered American if the money ultimately comes back to the USA. Jim Amos, CEO, accomplished author, and former Marine Corp Captain, argues in order to determine what products should be able to wear the Made of America label, one must consider who receives the earnings from the sale. He asks, “If the United States is the primary beneficiary of the sale, why should the seal of “made in the USA” not be used even if a minor percentage of the products is outsourced?” (Lapin, 2011) Tourists from all over the world visit Washington, D.C. for their monumental museums. Many of the souvenirs picked up by these visitors will have the label, “made in China.” According to Amos’s theory since the United States reaps the benefits of this sale it should be able to hold the “made in America” seal. I would need to know how Amos defines “minor percentage” in order to agree wholeheartedly, but if the percentage of the product outsourced were 25% or less then I would argue in favor of his theory. Where do you see Amos’ theory being flawed? It’s a double-standard, I know. I would not want other countries staking claim on our products when we have contributed to its making. I think war could break out on determining who “reaps the benefit of the sale” and questions when equal percentages of the product are outsourced. This is a tough one, only because it depends on what products we are talking about. “Researchers at the Federal Reserve Bank of San Francisco calculate that in 2010 goods labeled “Made in China” accounted for just 2.7% of U.S. personal-consumption expenditures on goods and services—all the things we buy in a given year, from cars to clothing to health care” (Bussey, 2012) .I agree that American ideas that are only manufacturing in foreign countries due to low cost is still an American product, but, again it depends on what type of product it is. Team USA recently received their uniforms and the tag read “Made in Chine”. I absolutely think this issue has created quite a controversy and I cannot disagree with all the outrage. I know that China can make clothes and uniforms much cheaper than the US but it seems a bit contradictory to have a team in the Olympics that is representing the USA but are wearing clothes that not even Americans got to stitch. So what is your opinion on the TEAM USA uniforms being made in China? Bussey, J. (July 19, 2012). Does It Matter China Made the U.S. Olympic Uniforms?. The Wall Street Journal: The Business.